Near metro and malls, but hardly to find. Actually it is far from Novotel just 60 meters. Most taxis don't know here, they know Novotel. From Novotel, you turn into the parking sign (small street) and go straight, you will reach Suning (the highest building). Modern, clean and big room, having washing machine and detergent. staff is very friendly, perfect location near subway, lots of good food, nice and big room, very clean and comfortable. will stay again. Room was clean and very comfortable. They gave me a free room upgrade for 4 nights! The ppl at the counter spoke some English and helped me efficiently. Will definitely stay here again. Location and cleanliness of the apartment. The washer-dryer is fantastic and has English instructions which takes out a lot of guesswork. The apartment is bright during the day and the heating system works will. There is complimentary coffee in the lobby and the service staff - from reception to housekeeping are excellent. Everything was really good. Big bed, clean, nice cleaning ladies, good location... And great price. The price was really good, we had our own washing machine and kitchen. Big bed and they were nice. Central city!!! Everything is there. 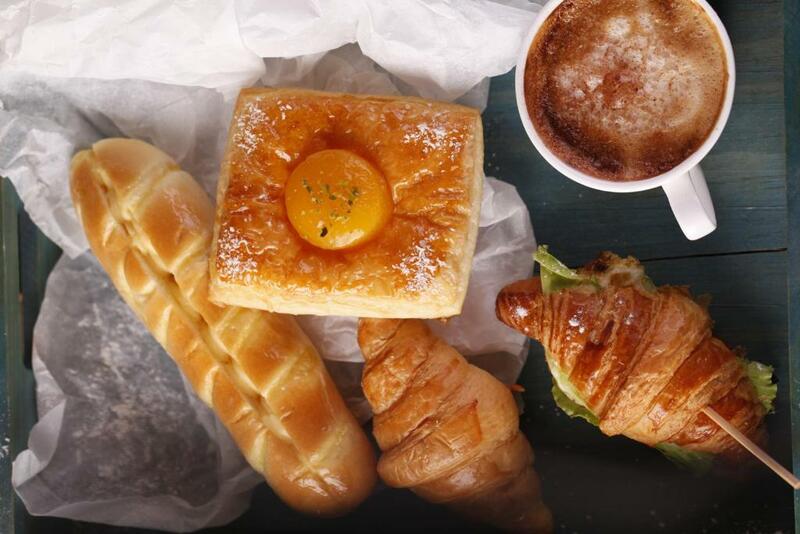 Very convenience walking around for food or shopping. Very good room, big one and beautiful rooms. 4 of us stay in family suite 12x sq.m., perfect place. Great location, close to central shopping mall and metro stations. 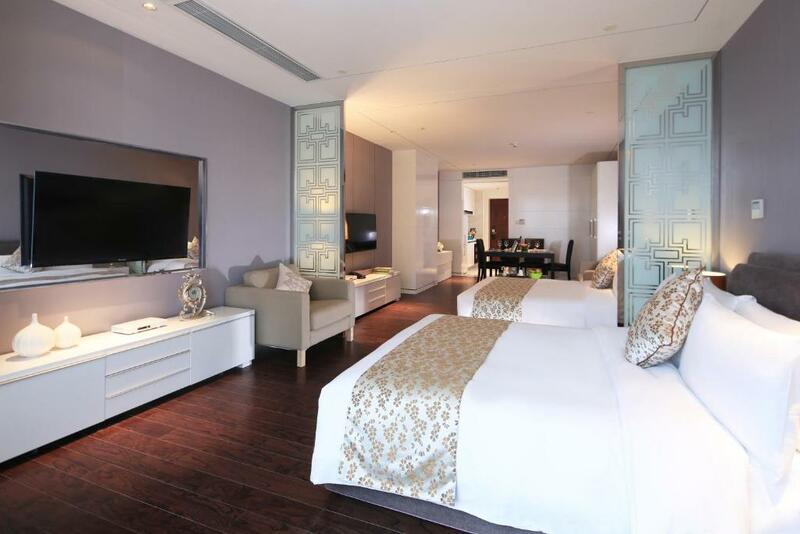 Lock in a great price for Suning Auraya Service Apartment Nanjing – rated 8.7 by recent guests! 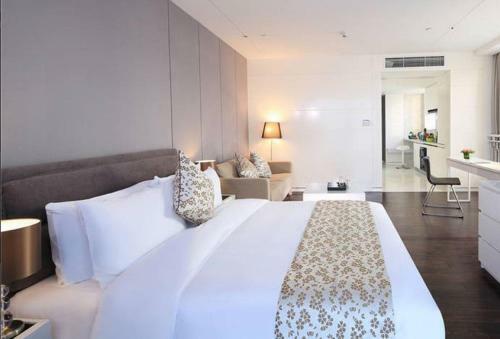 One of our top picks in Nanjing.Suning Auraya Service Apartment Nanjing is located in Nanjing,1 mi from Confucius Temple. Free WiFi is featured throughout the property and free private parking is available on site. The property offers a kids' club and an on-site library is featured . 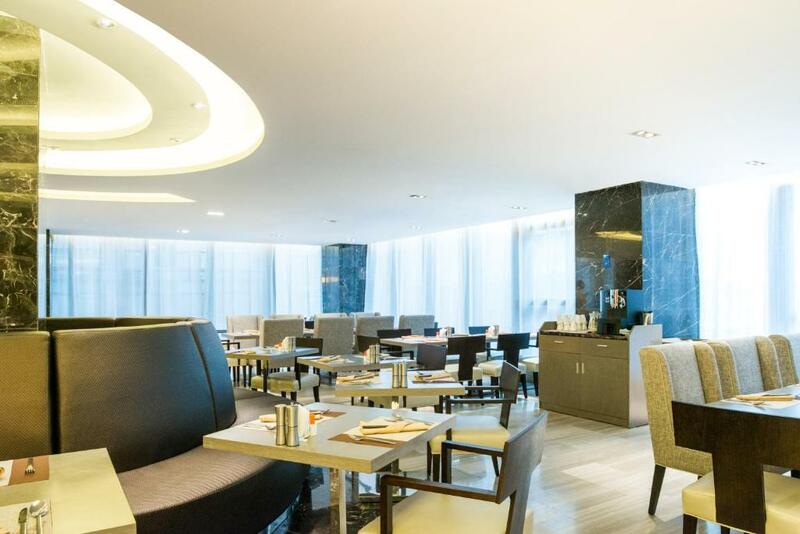 Suning Auraya Suites Nanjing is a 29-minute drive to Nanjing Railway Station. Nanjing South Railway Station can be reached in 43 minutes by car. Nanjing Lukou International Airport can be reached in 40 minutes by car. The famous Presidential Palace is a 16-minute drive away. Each room at this inn is air conditioned and has a flat-screen TV with cable channels. Some rooms feature a seating area to relax in after a busy day. You will find an electric kettle, stovetop, kitchenware and a microwave in the room. All rooms are equipped with a private bathroom that is fitted with showering facilities. For your comfort, you will find slippers, free toiletries and a hairdryer for your comfort. There is a 24-hour front desk at the property where staff at the reception can assist with luggage storage service. Room service and concierge service is provided here. There is a shared lounge to be found for guests' convenience. Qin Huai is a great choice for travelers interested in ancient landmarks, street food and museums. 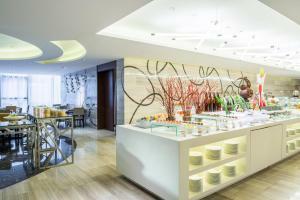 This property also has one of the top-rated locations in Nanjing! Guests are happier about it compared to other properties in the area. This property is also rated for the best value in Nanjing! Guests are getting more for their money when compared to other properties in this city. When would you like to stay at Suning Auraya Service Apartment Nanjing? Offering a kitchenette and seating area, this room has an electric kettle, refrigerator and a washer-dryer combo. Offering a private bathroom and seating area, this room has an electric kettle, kitchenware, refrigerator and a washer-dryer combo. Featuring air conditioning, this suite comes with two 4.9 feet wide large double beds, TVs, washer-dryer combo, kitchenette and electric kettle. The The private bathroom has bathrobes. This suite has a sofa, stovetop and electric kettle. A washing machine, kitchenware and a microwave is also featured. This suite comes with a large double bed and has a washing machine, air conditioning and an electric kettle. A washing machine, kitchenware and a microwave is also featured. This suite comes with 2 large double beds and features a stovetop, sofa and air conditioning. This double room has a electric kettle, washing machine and kitchenware. 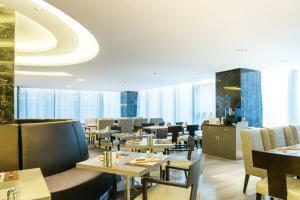 Suning Auraya Suites Nanjing is located in Xinjiekou, which is a prosperous commercial district in Nanjing.It is adjacent to Suning Life Plaza, Wal-Mart, Nanjing Deji Plaza, Golden Eagle and Oriental Shopping Mall etc.. 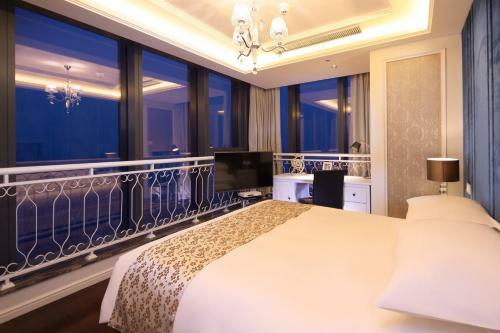 The suites is near Metro line 1 and 2 Xinjiekou Station, 15 minutes drive from Nanjing Railway Station, 35 minutes away from Nanjing Lukou International Airport, 10 minutes drive from Confucius Temple and 5 minutes to Presidential Palace. Area Info – This neighborhood is a great choice for travelers interested in ancient landmarks, street food and museums – Check location Excellent location – show map Guests loved walking around the neighborhood! House Rules Suning Auraya Service Apartment Nanjing takes special requests – add in the next step! Suning Auraya Service Apartment Nanjing accepts these cards and reserves the right to temporarily hold an amount prior to arrival. The only fault I could find is there is not enough lighting in the living area of the apartment. Just 2 small ceiling spotlights which makes it very dim to do any thing. Small kitchen and bathroom, but they were good. One thing is the weather was hot and we could not turn on the air conditioning until the last day, but it's ok.
Small kitchen and bathroom, but still really good. Cannot find TV program with English language. The hot water/shower system need to be improved as the second person need to wait half an hour to have a hot shower. They have most of the things you need to have a comfortable (few) nights stay really, the only thing missing is a microwave. I'd like to give a thumbs up to the service of the staff and the location. 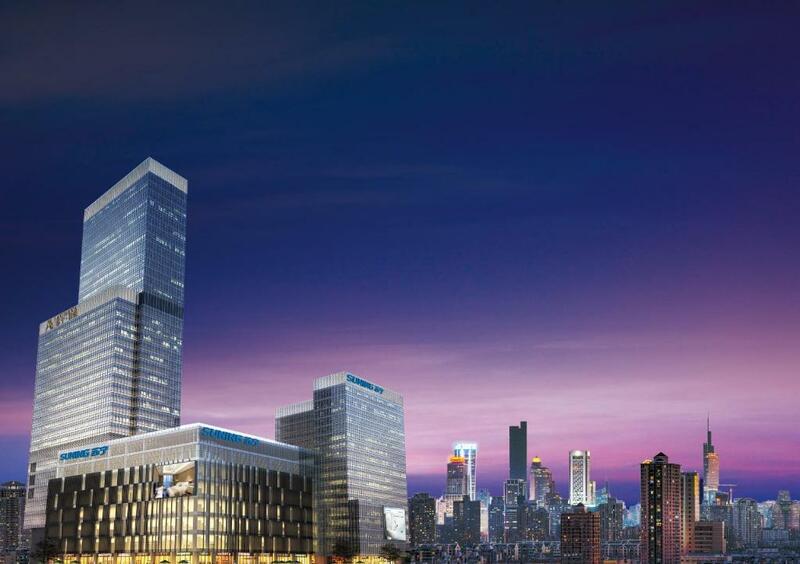 The hotel/apartment is right in the city centre with shops, restaurants and close to Xinjiekou metro station, and across the intersection is a big walmart supermarket located in the shopping mall. I regret staying one short night only since I was in Nanjing for 2 nights. On the day I checked out two staff members, Mr. Lu and the boy who helped storing my luggage (sorry I forgot to ask your name) kindly helped me by calling a taxi. Otherwise I would have gone out on my own with two heavy suitcases. So thank you both! Sometimes wifi is not terribly fast. I would have preferred to leave for Shanghai in the middle of my stay and come back for the remaining days. But booking.com makes this too complex and the hotel is unable to have control over their own bookings. I always like staying at this place; it meets all my needs. 1. Location was excellent - close to : Metro stations, department stores, both Nanjing high-speed railway stations, lots of eateries and supermarkets; 2. Our 2 room-apartment was spacious, tranquil, well-equipped with kitchen utilities, cutleries and crockeries; 3. Windows in the 2-room apartment could be opened for air; 4. Staff at reception and house-keeping were helpful and friendly; check-in and check-out was efficient; and 5. Changing of bed-sheets every 3 nights was adequate for us. 1. Very poor sound insulation - can clearly hear noises from rooms next door. Very annoying during night time. 2. Customer service needs to be improved. The security lock in my room doesn't work after I've used it for a couple of times. Called customer service - no one answered. I tried to call Call Centre, Guest Service and others which I can find on my phone - still no one answered. Tried 10 minutes and finally someone picked up the phone and sent a staff. I made it very clearly that the security lock in my room cannot be opened. The staff (he's very nice) brought a key for the main room door since the customer service told him so. 3. The floor drain was blocked for some reasons. The first night when my mum took a shower, water was everywhere in the bathroom as the floor drain was closed by some metal stuff!!! I don't understand why the hotel did this without even a notice. Who can think about checking floor drain before showering? I stayed lots of hotels every year and this is the first one ever happened. The funny thing is the metal thing was back after janitor cleaning the room. Luckily, I checked it the second night. Is there any particular reason for this? 4. Only a suggestion. A microwave should be provided as this is a service apartment. Great location. Lots of good restaurant/shopping malls around. Outside the main door not very safe to walk alway have many cars pass through . The staffs are nice, but they can't speak english. They asked to pay cash CNY 1,500 which are CNY 1013.40 for room and 486.60 for a deposit. We got the deposit back, but the room rate is higher than when I booked which is CNY 881.22 Later they charged me the credit card for CNY 508.44 So I have to pay money more than expect for about CNY 640 Now I am consult my case with Booking and hope to hear the reply soon. No microwave, have only 1 big pot, 2 plates, 2 cups, 2 glasses, 2 spoons and 2 folks, But we don't mind because we eating out.